I started playing the violin in grade school and stopped playing in my early high school years. Stopping was a bad decision on my part and I have regretted it ever since. However, I did play the tuba (Sousaphone) in the high school band. 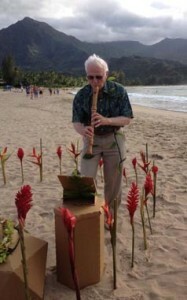 I later picked up a soprano recorder during my graduate study years and began playing it on a regular basis. I eventually began playing various size recorders from the tiny sopranino to the F bass. This lead to my joining and performing with the following organizations from 1985 to the present day. I began taking violin lessons again. However, within a year, I had an operation on my left wrist which prevented me from continuing. 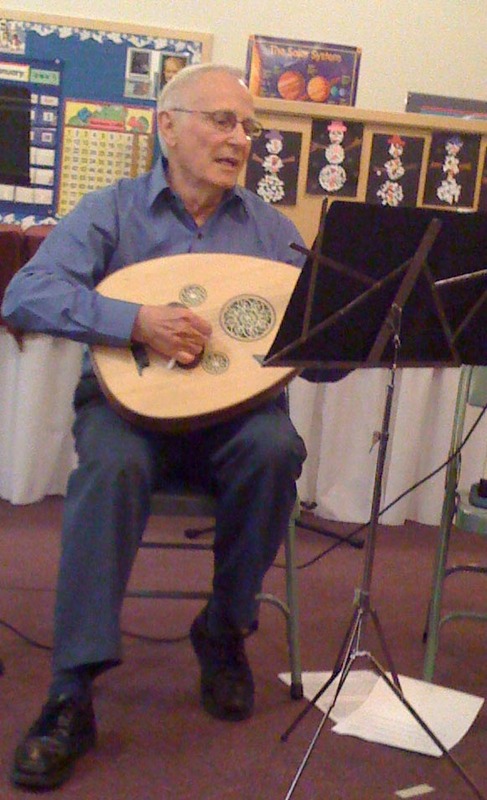 As a result I began playing the mandolin because it had the same string set as a violin and the mandolin did not require bending the left wrist as is necessary with a violin. 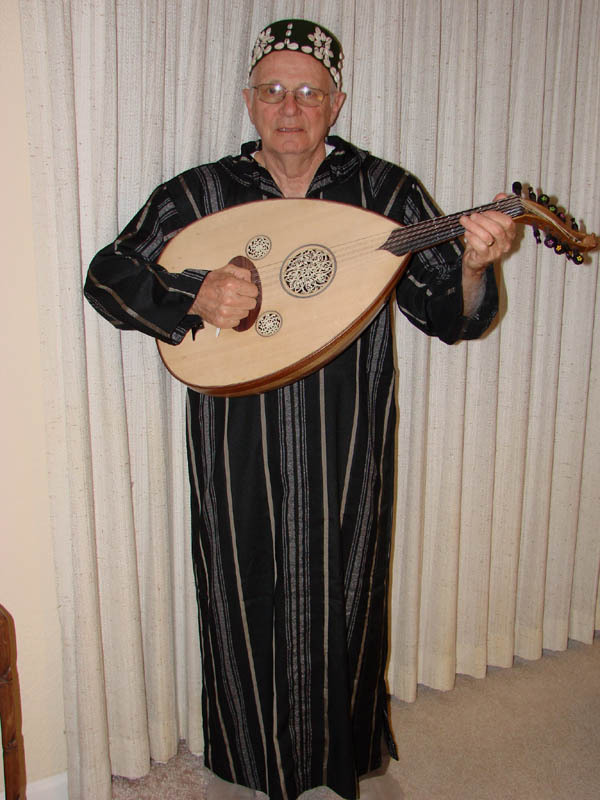 Since then I have learned to play the Turkish Oud and dumbek. 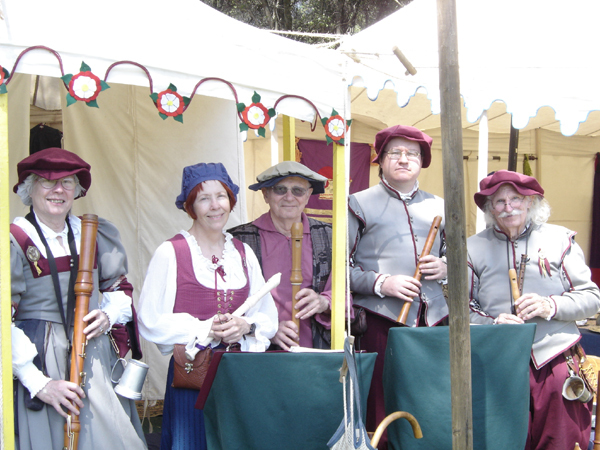 I do a bit of dabbling with many other medieval and ethnic instruments, none of which I play proficiently. In January 2004, I began voice lessons to see if some one who never sang could do so at such a late stage of his life. 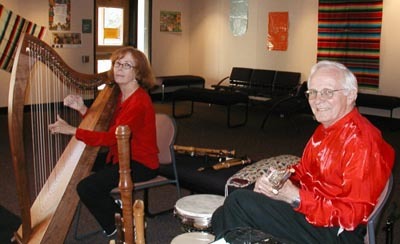 My voice teacher is Beverly Marks of Nevada City, CA. 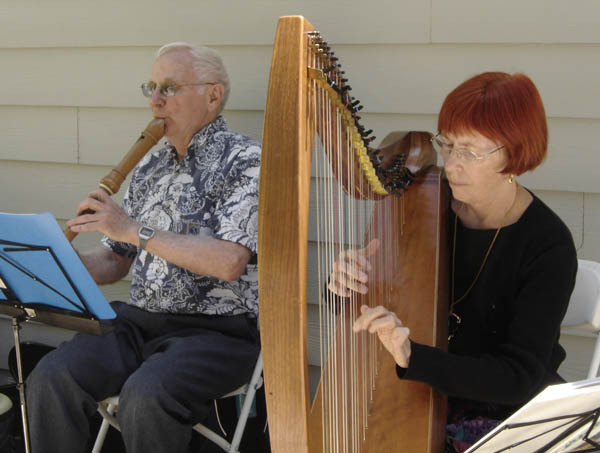 Some of the other teachers that I have had are: – Fred Palmer and Judy Linsenberg (recorder) of the SF Bay area; Elizabeth Glattly (violin) of Truckee, CA; Rob Bonner (mandolin) of Colfax, CA; Tynowyn French (dumbek) of Nevada City, CA; and Tom Slattery (Oud) of Nevada City, CA. 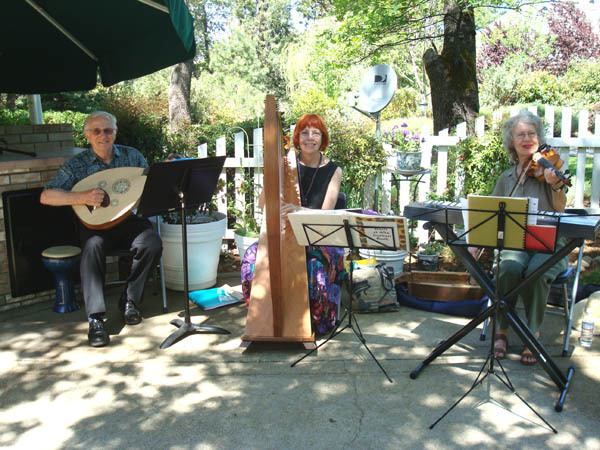 A group, that I now play with, specializes in Baroque, Renaissance, and Medieval music. The number of players varies depending on the venue. Click the web sight for more information. 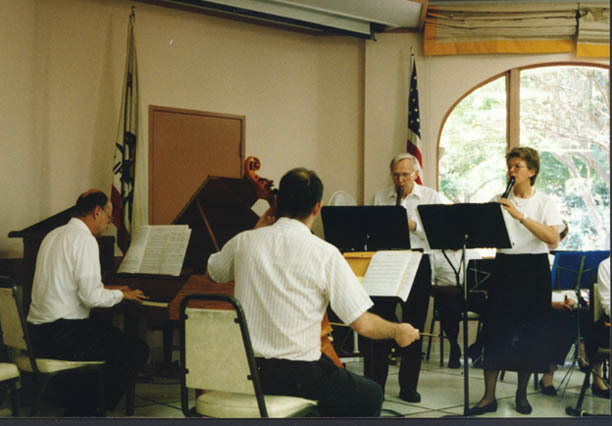 John Pronko and Diana Fischer performing a Corelli Trio Sonata with continuo at an MPRO Concert (1996). 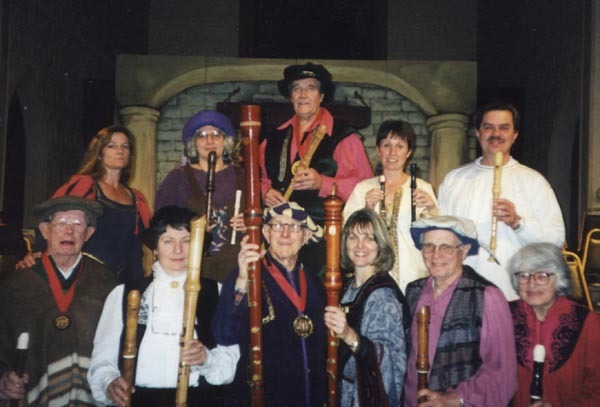 Village Festival Recorder Orchestra’s Madrigal Dinner performance (1999). Intensive Spanish Summer Institute- 2004. 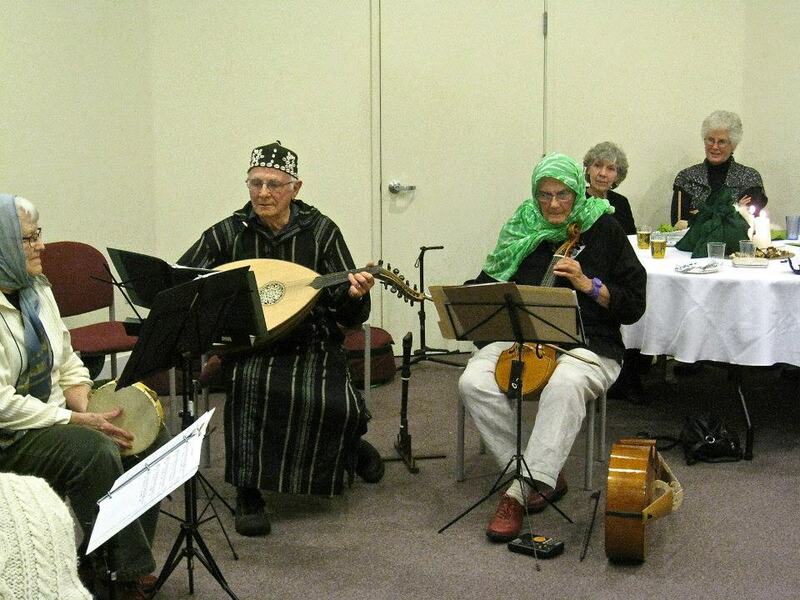 This was a performance of Cantigas de Santa Maria and other Spanish medieval music. 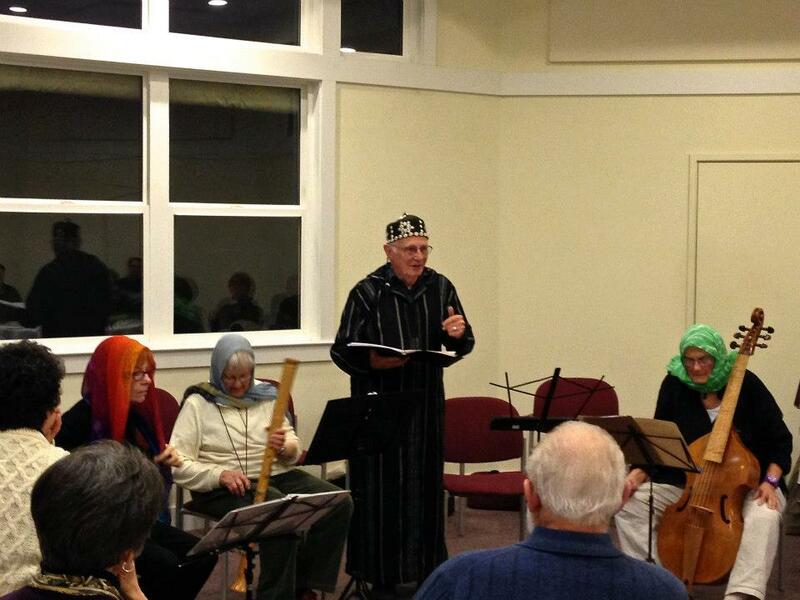 A January 2013 performance called “Al Andaluz – Las Tres Culturas” at which we played Arabic, Sephardic and Christian music from medieval Spain. 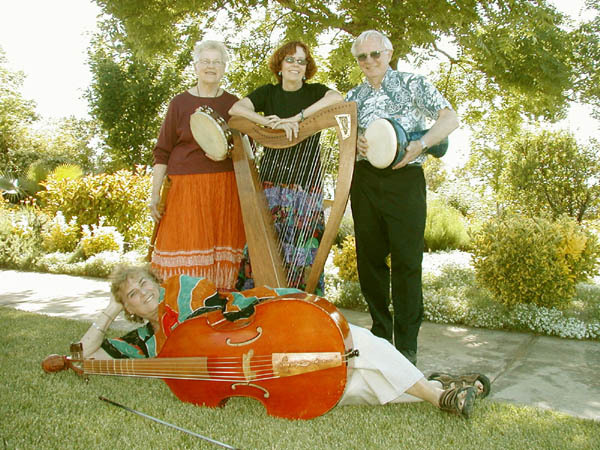 Members of the group are Alex Ives, Billie Hamilton, Dorothy Orolin and John. 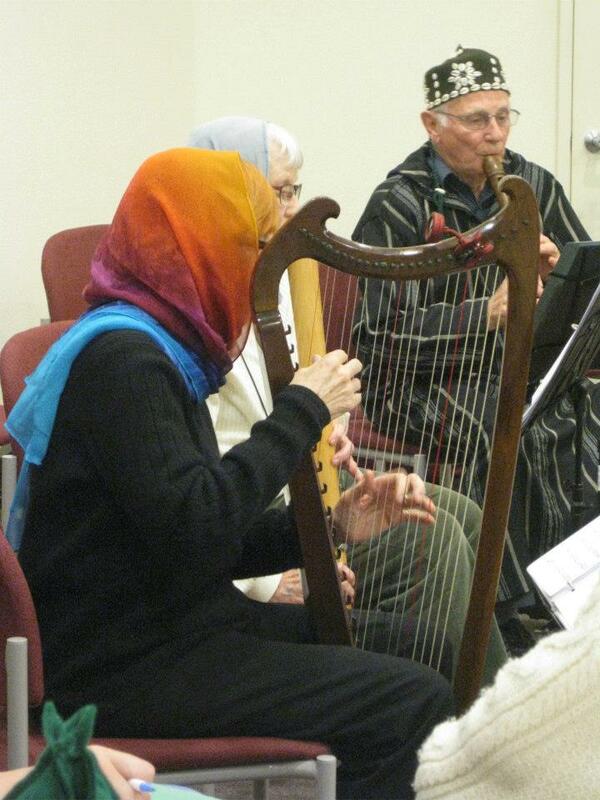 The instruments played included harp, Turkish oud, viola da gamba, recorders, voice, and drum.